Incline Cottage, Stunning Views, Farm location. Property 73: Incline Cottage, Stunning Views, Farm location. Private, quiet, cottage adjoining stream. Property 92: Private, quiet, cottage adjoining stream. 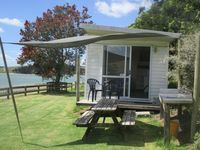 Property 95: Cosy, self contained unit. Rose Cottage, 1890s Rural Retreat. Property 99: Rose Cottage, 1890s Rural Retreat. Beautifully appointed self contained studio. 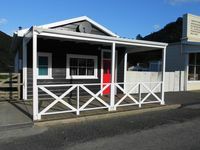 Property 100: Beautifully appointed self contained studio. Your Butcher's Shop was cute and very comfortable. Thank you for a wonderful stay at Whangamomona. Beautiful place. Wonderfully quiet and isolated. Friendly thoughtful host. Clean tidy cabin. Thanks for a lovely interlude from the city.